Canberrans and visitors to Canberra will now be able to catch public transport between Canberra Airport’s passenger terminal and the city from Monday 20 March after the Minister for Transport and City Services, Meegan Fitzharris MP, announced an extension to Transport Canberra’s bus number 11 will operate seven days a week on the new route. ACTION buses will run about every half hour, better during peak times on weekdays, and every hour on weekends. Route 11A will also be introduced that will connect Civic with Canberra Airport via Russell Offices and return. Canberra Airport’s Managing Director, Stephen Byron, said the decision would provide an alternative mode of transport for incoming passengers or those departing from the city. When paying cash a single adult trip will cost $4.80 with cheaper fares for students and children. Significant savings can be made when travelling with a MyWay card. 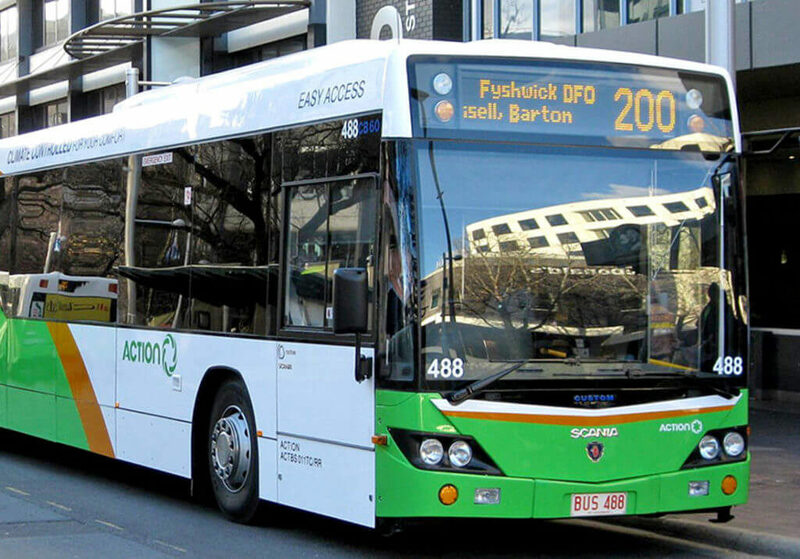 Seniors and concession card holders (excluding students) eligible for free off-peak travel as part of Transport Canberra’s 12 month trial will also receive free travel on this service during off-peak periods when using MyWay. The airport site, including the business parks, is now serviced by over 110 weekday services by ACTION buses. You can download a Route 11’s new time table here.